Dr. Harrison Wells: I want you to take a moment and think about all the things that define your life - all the people you love, your job, your co-workers, your home - and now imagine if one day, in a flash, all of that vanished. Do you simply accept your new life and continue on, or would you do whatever it takes to get back what was taken from you? Because I can assure you I will get everything that was taken from me. "Rogue Air" is an episode that has been hyped so much by many fans alike since the advertisement for this was just mind blowing. We were promised to have an epic battle between Flash, Firestorm and Arrow against Reverse Flash. This was it, the fans wanted it and have been drooling over it. Yet, here we get another plot line which more or less was good but not why we're here for. Episode kicks off with a Harrison Wells narration which really set up the mood and got me excited and hopeful for what was about to happen next in the episode. Then the team gets news that the particle accelerator has been activated and Reverse Flash literally runs away from the episode. I was expecting more of Reverse Flash in the episode and I wasn't really expecting Harrison Wells to be gone off screen for almost the whole episode. Since the particle accelerator may endanger the lives of the meta humans in their prison and Barry needs to find a way to get them to safety. 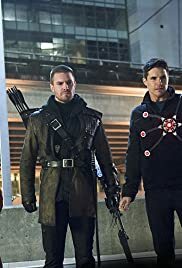 By then I was confused as to where the team up would tie into this episode but then it started to make sense -ish like the mention of a couple things in Arrow. As the episode progressed, Barry seeks help from Captain Cold and it (of course) divides the group. It was nice to see the group now struggling to juggle all these things and take desperate measures and it shows how they are sometimes weak and hopeless without the help of Harrison Wells. Captain Cold and his sister were okay I guess, nothing has changed with the menacing style of Cold. The acting remained good if not average, although some scenes wherein Barry overreacts or such were there. Thankfully, we actually got to care about Eddie and Iris after 20 episodes. Knowing that Eddie won't marry Iris and the change and development it brought to him was great. It was also kind of sad to see Eddie in this situation and that was a good thing because we now actually are seeing some good development. Then when we finally reach the end of the Rogue plot line, we're left wondering: "Wait...where's the team up?!?!?" the thing that most of us were here for in the first place. I honestly thought the episode was already going to end and that could've been a bummer, but then the final minutes came..and Arrow and Firestorm come out of nowhere to give us what we wanted. Don't get me wrong, the final minutes was the best action sequence the show has ever had and the visuals remained intact and brilliant even after 21 episodes. The final minutes were intense and brought me to the edge of my seat. 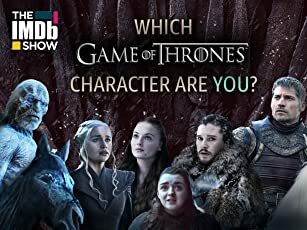 Granted, it still kind of felt like it was shoe horned in the episode, especially considering it was put in the last few minutes when most of us thought this was the main course. Overall, great episode nonetheless. Excited for the season finale. -Reverse Flash literally runs away from the episode, -Confusing advertisement that we were getting an episode focused on 3 vs Reverse Flash, +Acting and Plot were good, +Great development for Eddie and Iris, +The Final Battle, -Kind of felt like it was shoehorned in.